Licensed Auctioneer and Partner/Owner of Kline, Kreider & Good Auctioneers as well as a Real Estate Broker/Realtor, Certified Broker Appraiser, Notary and Licensed Lender (NMLS #834368). Having grown up on a dairy farm and being involved with auctions at a very young age, Randal has over 40 years’ experience specializing in the marketing of real estate. He is a lifelong resident of Lancaster County, along with his wife Carol, their 3 sons and 10 grandchildren. He is an active member of Middle Creek Church of the Brethren and the Gideon’s International for the past 40 years. 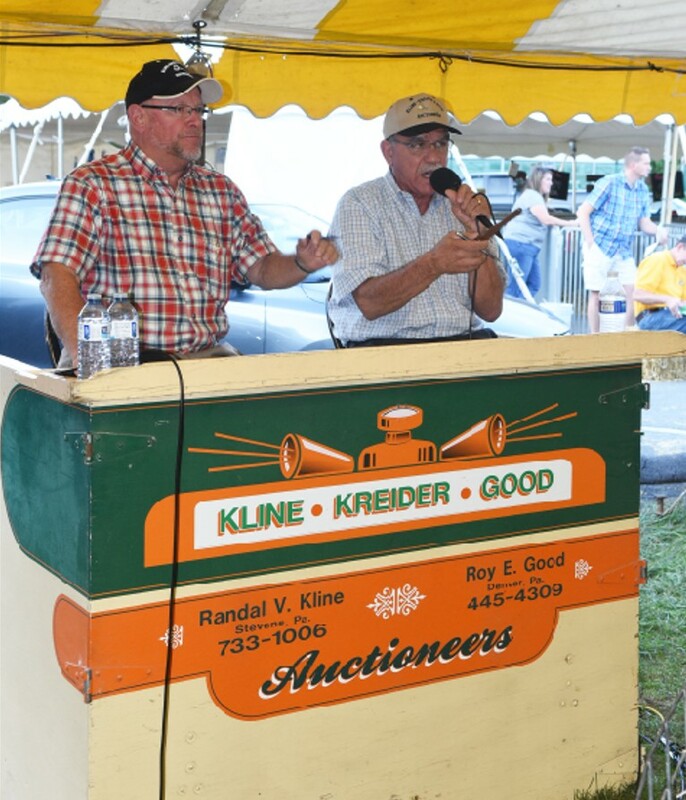 Licensed Auctioneer and Partner/Owner of Kline, Kreider & Good Auctioneers. He was raised on a steer farm, which also housed a butcher shop retail business on the premises. Roy has over 34 years’ experience selling real estate, personal property and farm machinery via auctions. He is also a lifelong resident of Lancaster county, along with his wife Doris, their 2 sons, 2 daughters and 11 grandchildren. He is an active member of Fairview Mennonite Church and has been serving on the school board for the past 20 years. To provide professional marketing and promotion of real estate at auction so as to obtain the highest market value for our customers/clients. Our real estate experience, commitment and dedication to professionalism are all part of our collective goal. NOTE: Our goal is to provide financial assistance to qualified customers/clients for our real estate auctions. Randal V. Kline Lender (NMLS #834368) is a licensed and bonded lender, specifically to provide the often required financial assistance for our customers/clients.